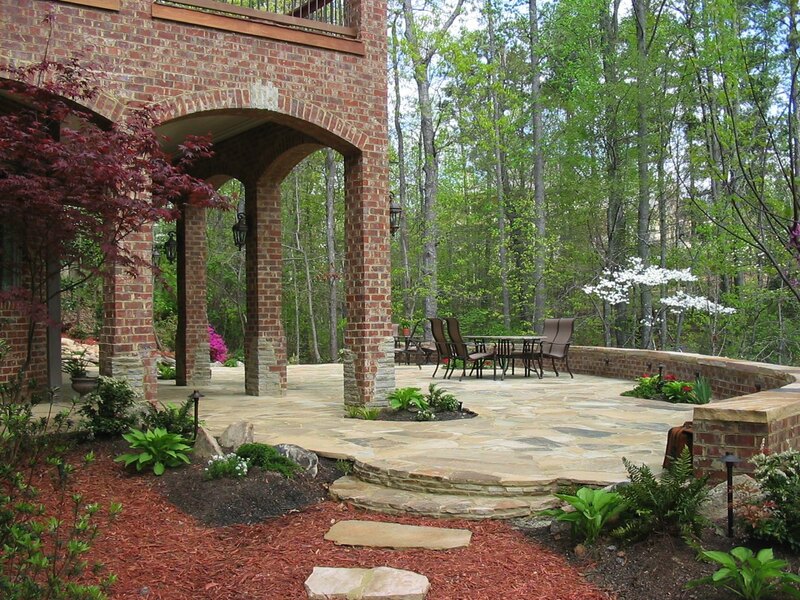 The old deck seemed like an afterthought to this large, elegant home in a north Atlanta suburb. Not only was the deck constructed poorly, the underside of the deck felt like leftover space, disconnected from the backyard. 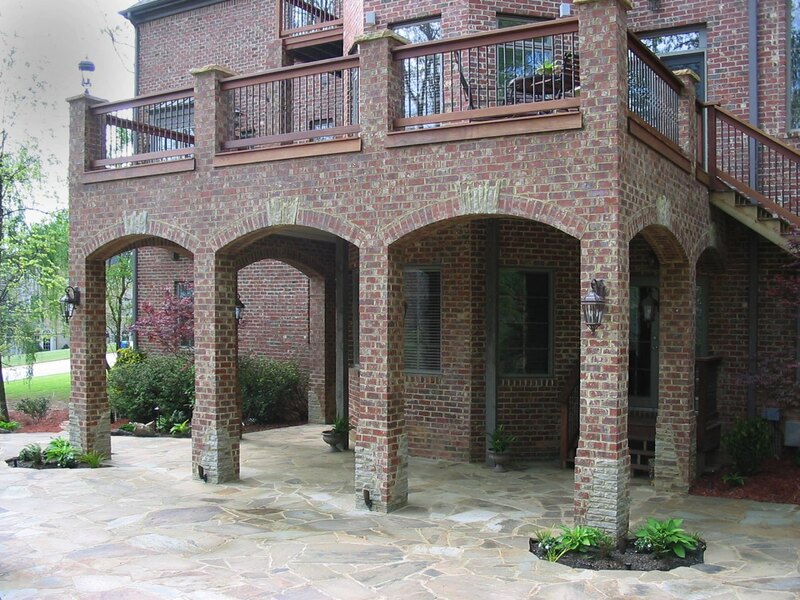 Our design included a new brick structure that matches the Alpharetta home in material and scale. 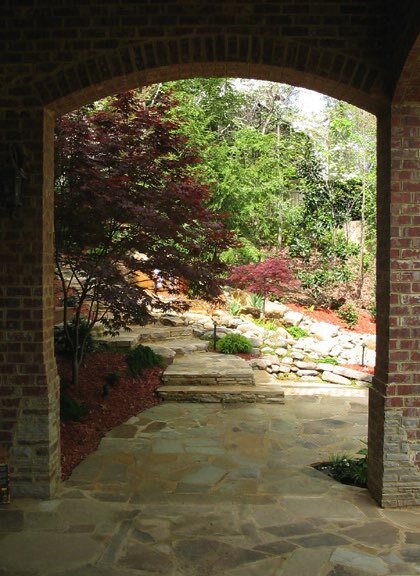 The small concrete patio below was transformed into a large stone terrace that extends out into the yard and is completed with a brick and stone seating wall. 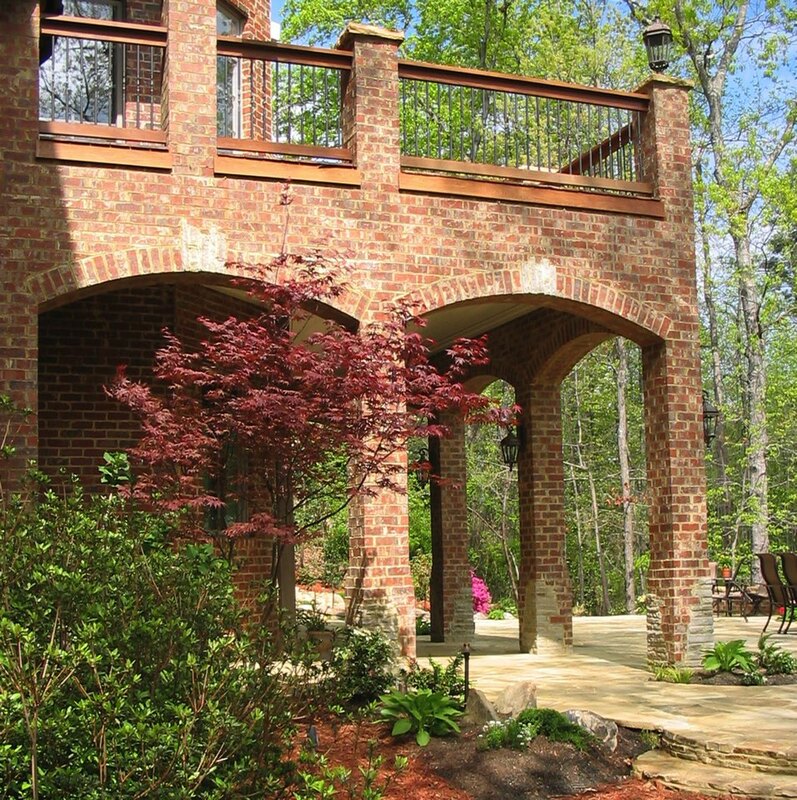 The underside of the deck is now outfitted with a waterproof ceiling system that makes for usable space in all climates.